HUGE PRICE ADJUSTMENT***NEW CONSTRUCTION *** MOVE-IN READY *** "YOUR" FLORIDA DREAM HOME AWAITS!! This Beautiful Home is Located in the upscale WATERFRONT BOATING community of SOUTH GULF COVE. This NEW CONSTRUCTION Home features 3 Spacious Bedrooms Plus an Office/Den with French glass Doors, 2 Full Baths, Formal Dining Room and a nice OPEN FLOOR plan great for Entertaining. KITCHEN Boasts Beautiful UPGRADED GRANITE Countertops and Breakfast Bar, Hard Wood Cabinets with soft close doors and drawers, Whirlpool Stainless Steel Appliances include refrigerator, range, microwave and dishwasher, Breakfast Nook Opens to Great Room with Sliders to Large spacious covered Lanai with ceiling fans. Master Suite has a Gorgeous Master Bath with Tiled Shower, Claw Foot Tub, upgraded Granite Countertops, Dual Vanities, a HUGE Walk-In Closet and Beautiful mirrors and light fixtures and Sliders to spacious Lanai. Home also features Porcelain Plank Flooring Throughout, Ceiling Fans, Recessed Lighting, Large Laundry Room and Guest Bath has a nicely tiled shower with Tub. Home is Nicely Landscaped with a beautiful back yard and room for a POOL. Garage Floor is already painted...The Community of SOUTH GULF COVE offers several parks, Community Boat Ramp and Marinas. Surrounding community offers several Golf Courses, World Class Fishing, Restaurants and Shopping. Only 15-25 minutes to beautiful SOUTHWEST FLORIDA BEACHES in Boca Grande and Manasota Key. 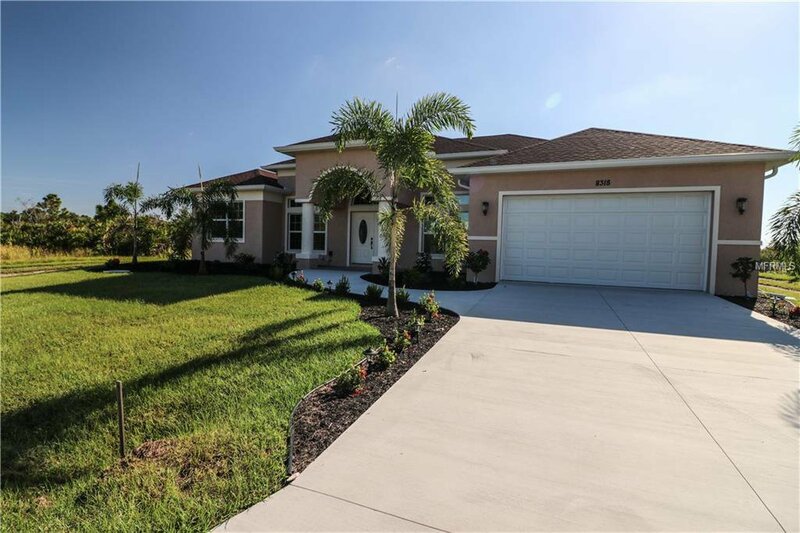 Come live that FLORIDA lifestyle in this MOVE-IN READY Beautiful Home. Listing courtesy of PARADISE EXCLUSIVE INC. Selling Office: TARPON REAL ESTATE INC.